Just this weekend, I listened as a bunch of elementary students described how boring school is because of the amount of seat time and worksheets that occupy their day. The response I heard back from the kids? “Well, that’s just how school is.” Why is this acceptable? I have also been listening to how adults react and the response is always same, “That’s life, get used to it.” Again, why is this acceptable? Why do we allow learning to be boring? I just don’t understand. Why do we accept this as just the way it is, the way it’s always been, the status quo, a challenge that we must all endure? What I see posted on Twitter about connected learning gives me hope, but the reality is that this is not the case for all students and until it is, I’m going to do whatever it takes to ensure all students everywhere have the opportunity to be creators, inventors and innovators every single day. A huge thanks to Dan McCabe for tweeting out this quote because I can’t stop thinking about it. I’m officially breaking up with boring, conformity and status quo (and while I’m at it, I’m breaking up with worksheets and students sitting idly at desks in rows too). I’ve had enough. It is an unhealthy relationship and the results are damaging the future for our students. We have a responsibility to get this right. Our students are counting us. Tomorrow when our students arrive at our classroom doors full of curiosity, wonder and awe, let’s embrace it, foster it and make this type of learning the norm for all students. I can no longer remain silent about this. I’ve seen posts warning parents about the dangers of this app and that app with all sorts of sensational headlines. But, I have a spoiler alert for you: The app is not the problem. 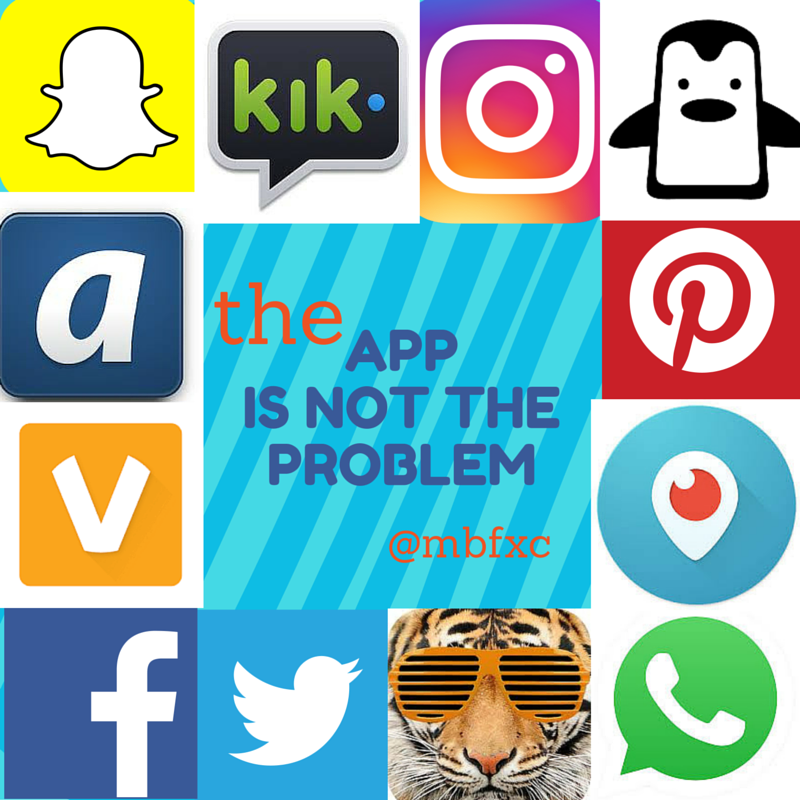 We are so afraid that we can’t control or monitor what our teens are doing that we’ve labeled certain apps as “RED ALERT” when that red alert should really be placed on us. I get it though, it is easier to place blame on the app than to acknowledge or address the source of the problem. So, the solution begins with each of us. It’s time to contribute our verse to this critical conversation. We need to engage, educate and mentor our society on the choices and consequences of being human. We need to model what respect for ourselves and others really looks like and to invest in building community wherever we go. I think the hack needed for education really begins and ends with the ability to humanize the person next to us, as well as across the screen. When we can do this, we can change culture and build communities at the local, global and digital level simultaneously. Let’s stop the blame game, address the underlying problem and celebrate what makes us human. The world has changed drastically since I was a kid growing up in the bleachers at Fenway Park. Yesterday, I decided to take a step back in time and enjoy the game without any devices or electronic distractions, Be in the Moment: Going Device Free to Fenway Park. I couldn’t have said it better myself and Jimmy Fallon’s character in Fever Pitch could have been just about anyone I grew up with. We might be called a little obsessive when it comes to our home team, but as Bostonians, we are known for our unwavering loyalty whether we are winning or losing and above all, we love our team. So, yesterday I went to the Park device free with only a baseball glove in hand and let me tell you, I felt some serious JOMO (Joy Of Missing Out) as I relived my childhood through the eyes of my nine-year-old son. We took a picture at home before the game and then I went silent on all my social media feeds. Maybe it’s because Fenway Park is my favorite place in the world, but yesterday, everything was more vibrant. The colors were popping, the smells were more aromatic, and the atmosphere was just simply electric. I felt myself snapping mental images, so I could revisit them in my memory like the pictures I have in my head sitting in the bleachers with my dad. I realized how much I was taking in details like the lovely couple sitting in front of us who also appeared as if they came to the game device free. When I mentioned it, they said, “We took our pictures before the game started. We don’t need our phones, we enjoy being together.” Next to them was a woman scoring the game (on paper, not an app) and sitting behind us was a hockey family who had devices, but they were nowhere to be seen. Is it important to go to the game device free? Absolutely not. Take your barfing rainbow snaps and selfies. Capture the moment, but please be mindful that you are at a live event and that you don’t have to watch the event through your device. This happens to be the Big Papi’s last season and although it would have been great to snap a picture or two, I have all the images I could possibly need, tucked neatly away in my memory bank. Yesterday, I loved singing the National Anthem, the 7th inning stretch (and “Take Me Out to the Ballgame”), being part of the rally at the bottom of the ninth, and most importantly, I loved being at the game with my son. What was my big take away yesterday being device free? I should do it more often. Yesterday, I was not a prisoner to my device. No one virtually owned my attention or my time. I didn’t feel pulled in a million directions nor did I feel compelled that I “had to” check my phone, answer my email, upload my status, etc. I’ll end with a fabulous message from Adele who recently reminded a concert goer to stop recording her and to just enjoy the live concert. I hope the next time someone asks me if I left my device at home on purpose that I’ll respond just as the couple did sitting in front of us yesterday. 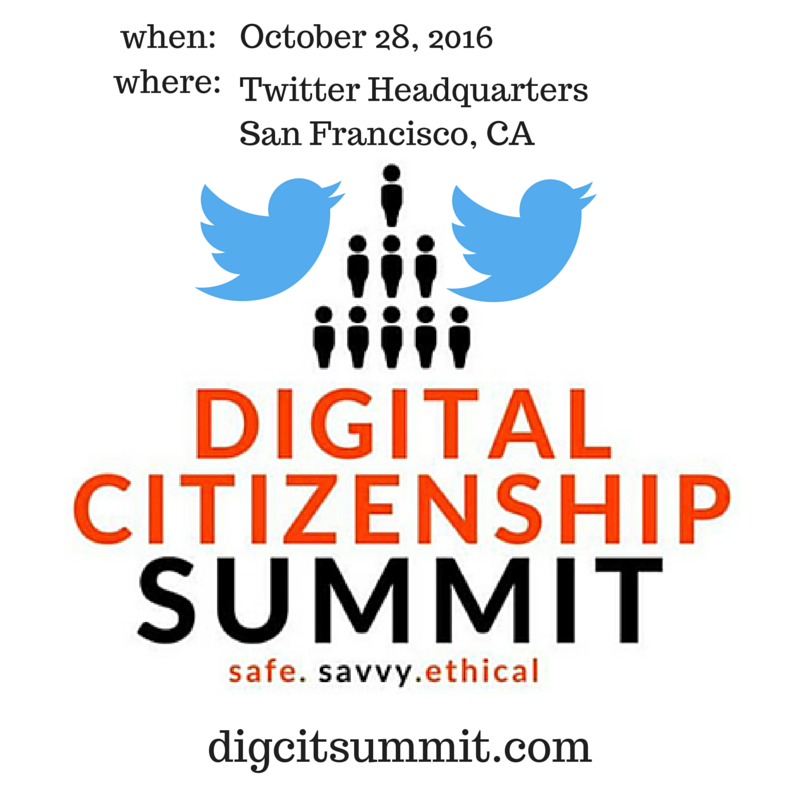 This week’s announcement about the Digital Citizenship Summit being held at Twitter Headquarters on 28 October is such an incredible opportunity for the entire digital citizenship global community that I wanted to write this post to thank all the people who have supported us from the very beginning. There have so many people behind the scenes, volunteers, speakers, and supporters from around the globe. From the bottom of my heart, thank you for being part of this critical conversation and continuing to move it forward into your classrooms and communities. Believing that nothing happens in a vacuum or by accident, I also wanted to write this post to thank all the people who have personally supported me from the very beginning of my digital citizenship journey. I am indebted to numerous people for casting light on my journey and am so grateful to my PLN for graciously sharing their time, talent and passion with my students over the years. For me, the making of the Digital Citizenship Summit happened long before our inaugural event last October at the University of Saint Joseph in West Hartford, Connecticut. In fact, my journey started years ago before I even had my first email address or mobile device. As a middle school teacher, I was always student-centered and focused on meeting the developmental needs of young adolescents. My interest in amplifying student voice has always been my True North and reason behind any and all decisions I’ve made during my educational career. Although Tyler Clementi was the student who changed my perspective and inspired me to change my practice, he was never a student in my classroom. I did not know Tyler, but his suicide made me determined to focus on a solution. Tyler Clementi could be my son, your son. He was a brother, grandson, nephew, cousin, friend, neighbor, and most importantly, a human being. This perspective launched me into uncharted territory. I am the mother of a son. What if this was my son? What can I do to make sure this doesn’t happen again? How can I make a difference? In many ways, Tyler Clementi was the impetus behind my First Year Seminar course, Pleased to Tweet You: Are You a Socially Responsible Digital Citizen? My definition of digital citizenship is a direct result of the iCitizen Project which asks students to think and act at a local, global and digital level simultaneously. By 2011, I was tired of digital citizenship being an add-on to the curriculum, as well as edtech and bullying conferences. I knew digital citizenship needed its own space and that’s why I created and designed 3 credit courses specifically around the nine elements of digital citizenship at both the undergraduate and graduate level. In February 2012, I also planned and hosted my first livestreamed event, the iCitizenship Town Hall Meeting for both a live and virtual audience and just like the Digital Citizenship Summit, none of this would have been possible without the support of countless people. As I reflect on the people who have supported me, I am reminded of just how many students and educators have virtually joined my digital citizenship courses and participated in the #digcit chat on Twitter over the years. Week after week, members of my PLN graciously shared their time, talent and passion with my students through Twitter, Skype and Google Hangout. I could seriously write a book on the entire experience, but for this blog post, I’ll share one of my favorite virtual guests, Jeremiah Anthony, a high school student from Iowa. Jeremiah Skyped and live tweeted, Stand Up & Speak Out with Digital Citizenship with my undergraduates. He demonstrated how it takes just one person to make a difference in your community both on and offline. There have been so many people over the years who have been that one person to me and I just want to publicly thank anyone who has ever supported me through all my digital citizenship courses, projects, Twitter chats and conferences, including the iCitizenship Town Hall Meeting, Digital Citizenship Summit and the Digital Citizenship Summit UK. It has been a privilege and an honor to learn alongside a global network of students, educators, parents and the edtech industry as we collectively continue to solve problems and create solutions together. So, from my middle school classroom in the early 90’s to my college campus in West Hartford to Bournemouth Univeristy in the UK to Twitter Headquarters — thank you, thank you for being part of this incredible journey. All it takes is one person to stand up, to make a difference, to be the change. Just one and before you know it, one becomes many. My son just recently stood up and shared his story with a global audience. 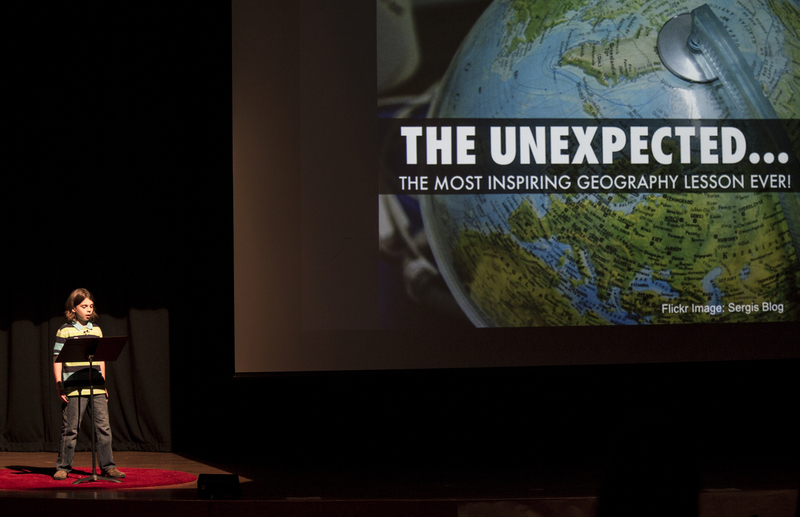 At the age of nine he delivered his first TEDxYouth talk, My Wish: Digital Access for All Students Everywhere about the difference between how he learns at school and at home. Just one student standing up and speaking out about the need for digital access to be like air and water for all students. Today, he made his wish become a reality and with permission from his third grade teacher, he invited connected educators, Derek Larson and Sarah Thomas to help him break down the classroom walls in his school. Today was the first time in four years that Curran had an opportunity to learn with digital access in school, not just at home. Today, one student became a classroom full of students who were eager and excited about this new way of learning. It’s like skipping stones, one student becomes one classroom which becomes an entire school, which eventually includes the district and ultimately influences the community and once that happens, we have caused the most positive ripple effect. As a mother, I am so happy that Curran has been authentically engaged through so many connected learning opportunities. But, as a connected educator, my heart breaks for the students who do not have digital access at home or at a school. As a mother/son #digcit team, we have made it our mission to continue to stand up and speak out until all students everywhere have access to learn about the world with the world. We won’t stop until ONE becomes EVERYONE. As I reflect on my growth as a learner and an educator this year, I am compelled to share my story since I spent the last decade of my professional career in higher education. Even though I was promoted to Associate Professor with tenure, I walked away from it all at the end of the fall semester. Why? Perhaps it’s because my learning curve is always in the curved position and it was time for me to learn new things in a new environment or because I know I can create more substantial change outside of a tenure track position? The truth is there’s a privilege about being an academic and I no longer wanted to be a part of it. With privilege comes exclusion and I want to be a part of an inclusive community. Don’t get me wrong, I have great respect for academics, my problem lies with the institution. During my ten years, it was generally the adjuncts who brought real-world experiences to our college campus not the tenured faculty. There was a glaring disconnect between the traditional (tenure track) faculty and today’s networked students. Unfortunately, the lecture is still alive and well, as is the statement in syllabi to ensure devices are off and not visible during class. This was not the case in my courses. I never passed out a syllabus on the first class, in fact no papers were ever passed out (I was a paperlesss professor) and I encouraged devices. We live tweeted in class, connected with experts on Skype and Google Hangout and participated in as many connected learning opportunities as possible. My call to arms for more connected teacher educators, Wired for Collaboration highlighted why higher education is no longer “higher” when it comes to innovation. This week, this tweet is the impetus of this blog post. I love that this is happening since I implemented iMentors, virtual mentors from my PLN into my teacher prep courses in the fall of 2011. But again, I question why this is not coming from higher education? This latest innovation is coming from the startup, Edconnective. Last week I blogged about education being more like a startup and this confirms I made the right move to walk away in December. 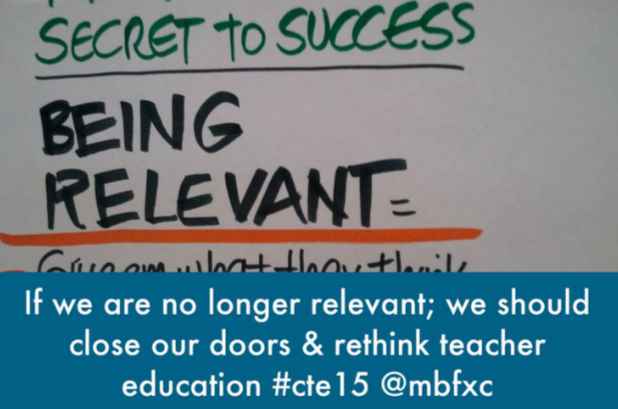 As I said during my Connected Teacher Educator presentation at ISTE 2015, I am a connected learner who thrives in an active learning community. I will always see myself as a connected teacher educator whether I am in higher education or not because empowering teachers empowers students. 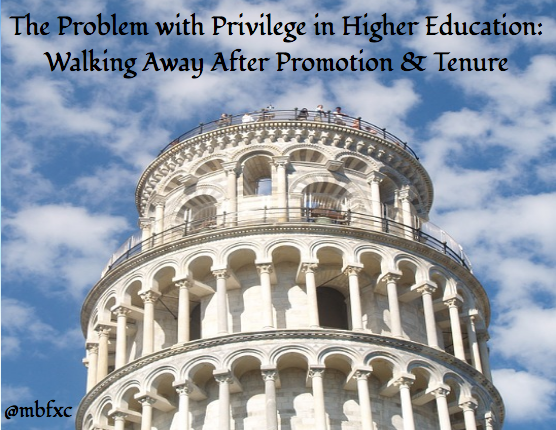 As I reflect on my decision to leave a tenured track position, I continue to question the status quo and privilege in higher education and look forward to the conversation that will result from this post.